Tonight I floated home from my yoga class pausing to stand and watch the beautiful sunset. Every week I have witnessed a lush Yoga Sky and I always take a moment to take it all in. I recently progressed from front room Yoga to proper classes, having said it would be something I would investigate following a gorgeous yoga session at last year's Camp Bestival, and it has been one of the best things I have done. Every week I have 90 minutes of pure chilled out indulgence for me where I can focus on my yoga practice and channel my thoughts to positivity and some spiritual relaxation. Already I feel more appreciative of the world, particularly apt in this current climate of political upset and human anger, and a bit more connected to it. Yoga, and all that it stands for, goes hand in hand with festivals and chilling and tonight I counted the days and realised that Camp Bestival 2016 is now just 5 weeks away. 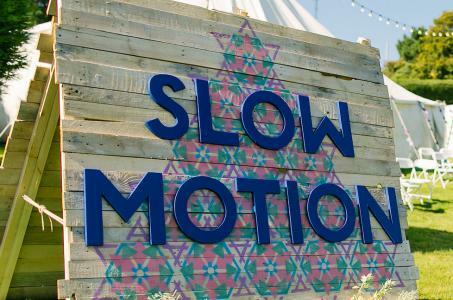 Putting a bigger smile on my face was the announcement today that Bestival's holistic zone, Slow Motion, will be debuting at Camp Bestival and bringing with it The Huffington Post UK Yoga Shala with a range of yoga; Pregnancy Yoga, Yoga for all the family, Hip-Hop Yoga and Yoga for stress. Sessions will run from 8a.m. to 7p.m. each day and I feel it will be an area I will be frequenting a few times across the three festival days! 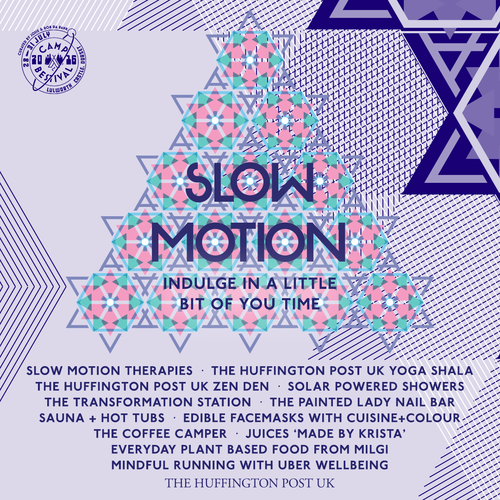 Yoga is fabulous to participate in at a festival and gives any of you Mamas, or Papas, out there a perfect escape for a little bit of 'me time'. 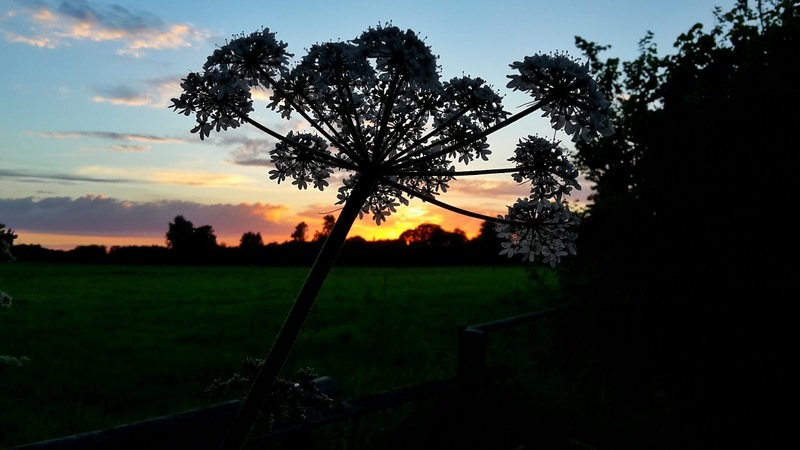 The yoga tent is a great retreat from the noise and crowds and gives you time to reconnect to yourself and, from personal experience, will return you to your family re-energised and calmer! If this looks like something you would enjoy there is more information on Slow Motion here. If you haven't purchased your tickets for Camp Bestival yet everything you need is here. Never been to Camp Bestival before and want to read a little more? Check out my past Camp Bestival posts here. Camp Bestival 2016 ~ A jam-packed guide!